Amazon.com is currently running a special discounted deal on Bimini’s Best Cat Kidney Health supplements. 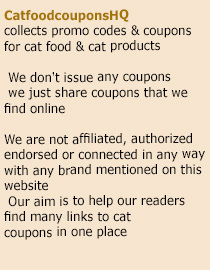 People can take advantage of the offer by going to the product page on Amazon and scrolling down to the middle of the page to find a “Clip this coupon” link. By clicking that link, a coupon code will be added to your cart so that 20% off the regular price will be taken off during checkout. Currently, the supplement is $28.99 and is also eligible for Amazon Prime, which allows you to take advantage of free 2-day shipping. The supplement is a popular option for keeping the health of feline kidney’s optimal. As they get older, many cats tend to experience problems with their kidney function, even damage or kidney failure. By supplementing with nutrients and herbs that combat this issue and help to maintain kidney function, cat owners are able to improve the health of their beloved pet’s kidneys. The product comes in a re-sealable bag and in soft, chewable form for easy administration and digestion. The main herbs in this formula are Astragalus and Rehmmania. These herbs are well known in traditional Chinese medicine circles for their kidney function improvement power. For any cat owner who is concerned about their cat’s kidney function, it would be wise to take advantage of the 20% discount and free Amazon Prime shipping with this special deal. This entry was posted in Bimini. Bookmark the permalink.